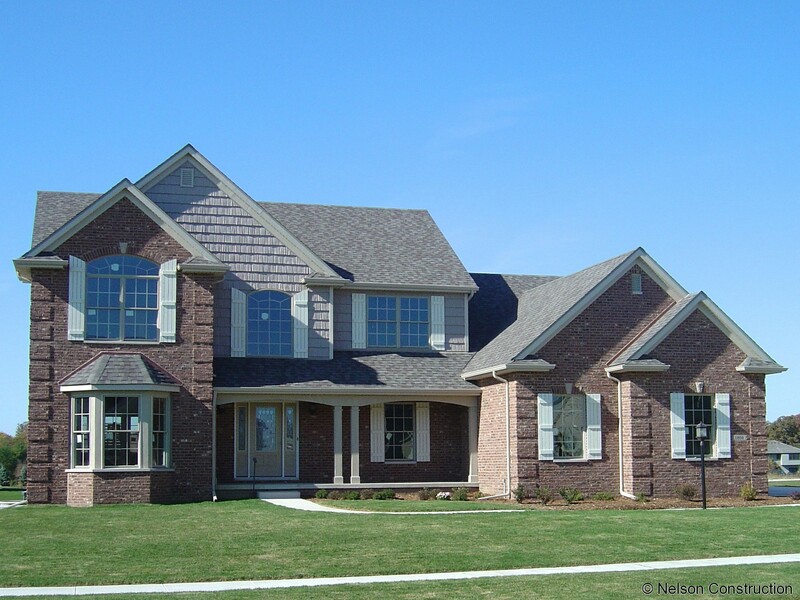 Exterior of 2-story Jamestown home with brick veneer and vinyl siding. You enter into a dazzling two-story foyer that is open to the balcony above. You can entertain from the gourmet kitchen, with its double ovens and huge island, which has a prep sink and curved eat-in area. The kitchen is open to the family room which has a fireplace flanked by custom-made bookcases. The dining room, with its bay windows, flows through the French doors into the family-sized living room that also has its own bay windows. Upstairs are four bedrooms and a bonus room with a vaulted ceiling that can be used as a playroom or home office. The home is complete with an unfinished full basement and a three-car garage.